Bachelor's, Mech. Eng., Huazhong Univ. of Science and Tech. ; Master of Int'l Affairs, Economic Policy Mgmt, Columbia; Master's and PhD, Economics, Renmin Univ. 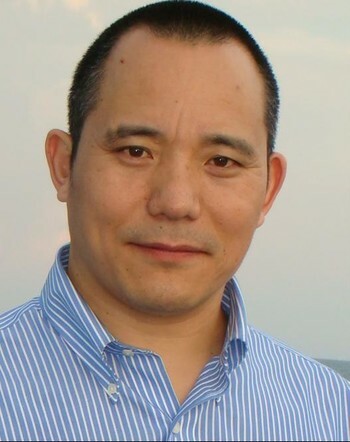 Former: Assistant Professor of Mechanical Engineering, Huazhong University of Science and Technology; Investment Manager, Shenzhen Property Dev. Group; Deputy Chief, Monetary Policy Dept, People's Bank of China, Shenzhen; Chairman, Hurray! Solutions; Visiting Scholar, Judge Institute of Mgmt Studies, Cambridge Univ. Currently: Chief Economist, Agricultural Bank of China; Executive Deputy Director and Senior Fellow, Int'l Monetary Research Institute, Renmin Univ. of China; Deputy Chairman, Advisory Board, Official Monetary and Financial Institutions Forum; Professor, Economics, Huazhong Univ. of Science and Tech. ; Editor-in-Chief, Global Finance & Economy. Author of numerous academic papers and dissertations; Editor and Chinese translator of Selected Works on Economics of Robert A. Mundell; editor of two book series, Renmin University Publishing House.